Maine Mountain Post & Beam is a Timber Frame Company located in Fryeburg, Maine. (We work nationwide). 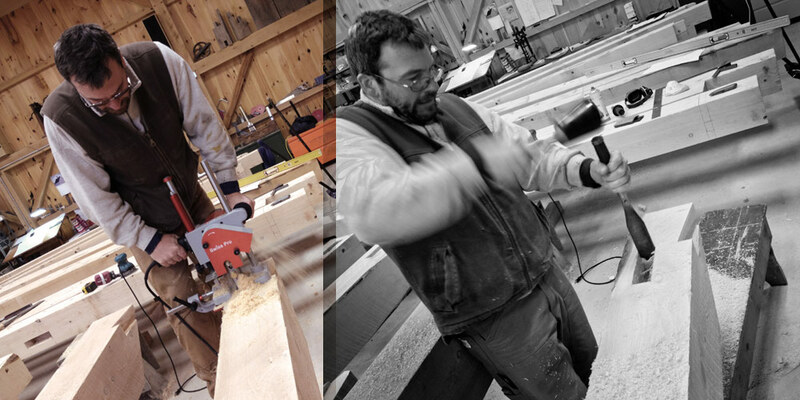 Owned and operated by J. Scott Campbell, Maine Mountain Post & Beam is dedicated to preserving and creating buildings that will last generations. For over 20 years we have specialized in the dismantle, restoration, and re-assembly of antique timber frame buildings (barns) for both homes and barns. We also design and cut new timber frames - using new or antique wood - basing most of our designs on historic frames typical to New England. Scott grew up living among restoration projects his parents took on in rural Pennsylvania. His passion for the meticulous creation and restoration of homes and barns has just compounded with time and his knowledge of the structural components to these buildings is worthy of the history books. Living in New England for over 25 years, he bases his work on joinery used for hundreds of years - creating frames that will continue standing for hundreds more. Scott personally oversees and participates in the dismantle and raising of frames. All the repair work to antique frames and the design, layout and cutting of new frames is executed by Scott. So, whether you are looking for an antique timber frame or a new one, all the work is performed by a skilled and experienced timber framer. Once an antique building is located, the exterior (roofing, siding, sheathing, windows and doors) is removed. Once the frame is exposed, the building is then meticulously documented with photos and detailed drawings. Every piece of the frame is then tagged and then dismantled in reverse order of its assembly. Pegs (trunnels) are driven out and the beams are pulled apart being extremely careful to preserve the original joinery. Once the frame is dismantled, it is taken to the shop where it is cleaned and repaired. All repairs are done with traditional joinery and like material (antique wood with similar patina). The frame is then shipped to its new location and reassembled. Incorporating historically correct design and joinery, we will create a frame to fit around a client's specific needs. Time tested mortise and tenon joinery not only make for a beautiful building, but an amazingly strong structure as well. Enjoy this time-lapse video of one of our antique barn raisings. Video courtesy of the Stone Mountain Arts Center.